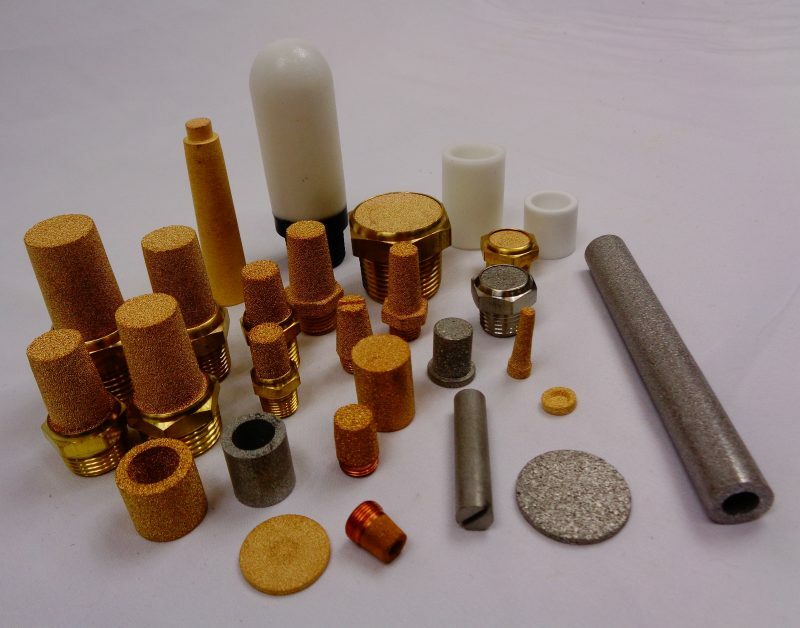 We manufacture sintered filters using Stainless Steel, Bronze and Polyethylene. We can manufacture almost any geometric shapes with microns from 1 to 200. Filters are used for muffling and silencing noise, air, gas and liquids. A drawing, sample or detailed dimensions are needed for us to quote, manufacture or re-engineer a filter. We do carry some standard parts. Visit our Sintered Muffler page to see what we have available.